Homeowners on Dutch Island can remodel or renovate their Dutch Island kitchen with American Craftsman Renovations. 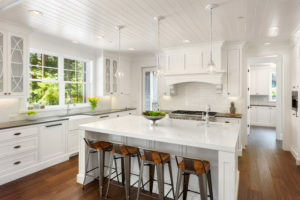 We will work with you one on one to come up with a design for your new kitchen, from light renovations that can include replacing your older appliances and building a custom island to major remodeling where we build you an entirely new layout with new custom cabinets and a walk-in pantry. Whatever your kitchen remodeling needs are, we can help. Our expert general contractor has many years of experience and has performed numerous kitchen remodels on Dutch Island. Getting your kitchen remodeled is easy when you work with the best in the business. You don’t want to trust your Dutch Island kitchen renovation or remodeling project to just any general contractor, you need a skilled craftsman to handle your project from start to finish. Work with American Craftsman Renovations today and let us bring your vision for your kitchen to life.